A man was taken to hospital after an incident involving all the emergency services last night. 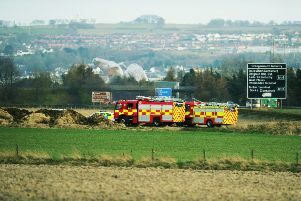 Police, fire crews and paramedics rushed to an area of woodland near Carronshore around 6pm. Today a spokesman for Police Scotland confirmed that a man had later been taken to Forth Valley Royal Hospital in Larbert for treatment.